With the end of the year fast approaching, Great Wolf Lodge wants Kentucky Farm Bureau members and families to join in on the end of the year fun. With waterpark and howlin’ fun in mind, if Kentucky Farm Bureau members book and stay before the end of the year, they will be automatically entered into a chance to win a 2- night stay during 2017. Offer based on availability, restrictions apply, must present membership card upon check in, must book using Preferred Pack Club code. The Kentucky Farm Bureau code is found on my.kyfb.com (login required). Clear your calendar, pack your swim suits, and head to Great Wolf Lodge! Just imagine... a colossal indoor water park, 100 game arcade, and fantastic restaurants- all under one roof! The adventure is all yours. After all, you deserve a little fun after all your hard work!! Great Wolf Lodge offers Kentucky Farm Bureau members a 15% discount off of our best available room rates! Save 15% at our Mason, Ohio Lodge when booking using code found on my.kyfb.com (login required). 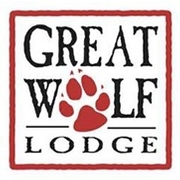 To receive the discount when making your reservation, all you need to do is go to www.greatwolf.com, select the Mason, Ohio Lodge, and enter the code into the field just below the calendar on the dates of stay, or call our reservation line at 1.800.913.WOLF. The savings are automatically reflected on all of our suite types, year around! Adventure awaits... we hope your family can create new traditions at Great Wolf Lodge very soon!